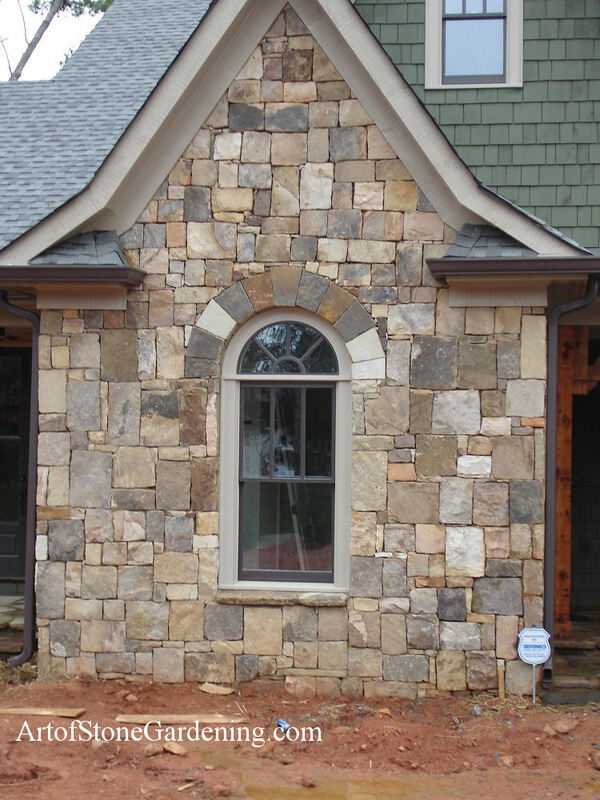 This home’s exterior is natural stone veneer. The arch of the window is enhanced by arching the stone surrounding it. Ashlar style natural stone is hand cut into rectangular and square pieces and then attached to the surface.